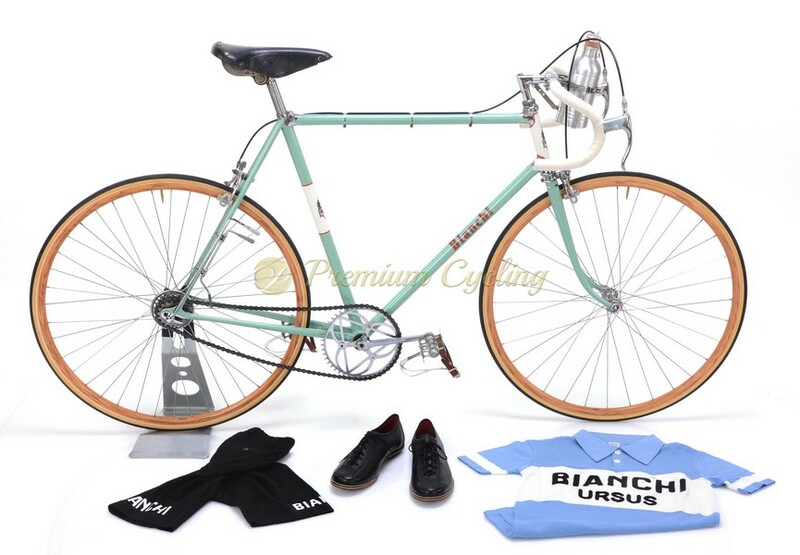 With this extremelly rare milestone of cycling history, Premium Cycling reached the top of what we can offer to bike collectors worldwide – Bianchi Folgore (No.1035087), which dates back to 1943, thanks to special Bianchi vintage bike register. 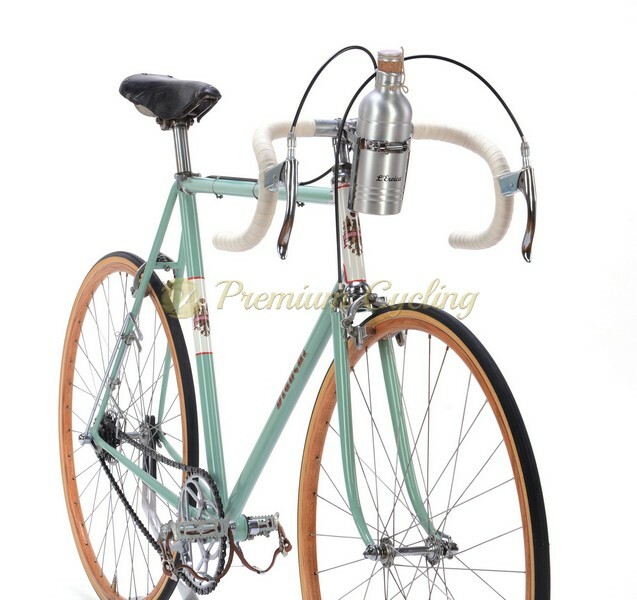 The ”Folgore” was Bianchi’s top of the line racing bike from late 1930s till 1949. 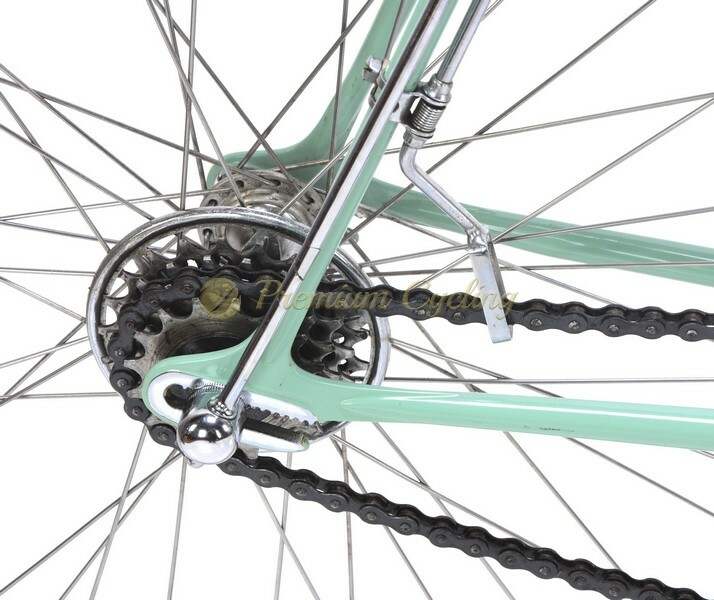 Extraordinary details of the steel frame makes you understand that Edoardo Bianchi was a medical tool engineer, before he started with bike manufacturing. The details like integrated headset, bottom bracket oil braze-on and top tube mounted seat post clamp with serial number underneath illustrate the painstaking work done in his factory. With this cycling milestone you can get an incredible experience how cycling heroes rode back in the golden era of cycling history or just to get a lot of attention at any historic cycling events. 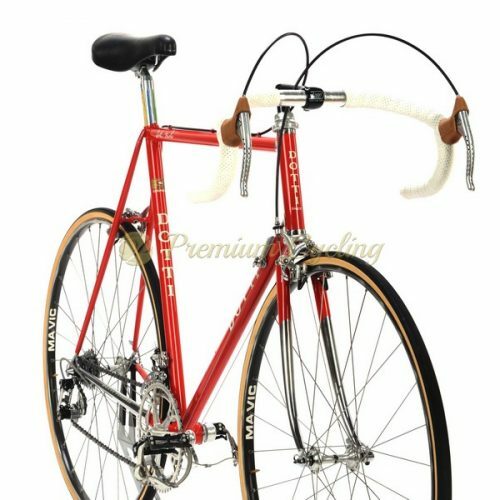 Similar bike was ridden by Fausto Coppi back in mid 1940s. Condition: Used, but good condition. The frame has no cracks, no dents and is not bend. The frame has been rechromed and refubrished. The bike was completelly restored and cheched by mechanic. All parts are working fine.